All throughout the year, people tell me how their favorite season for cooking and going to the markets is the winter – for the festive ambience and the wide array of vegetables in season. I can’t argue with that. 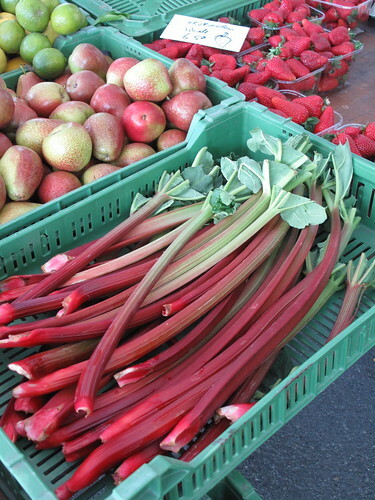 While I do love the explosion of colorful berries during the summer time, the first sign of corn in the fall and white asparagus in the spring, there is just something about the winter markets in Switzerland that is truly special. I love seeing all the fun varieties of squash and pumpkin, tubers and root vegetables – they’re easy to cook with and perfect for those cold, gray days. 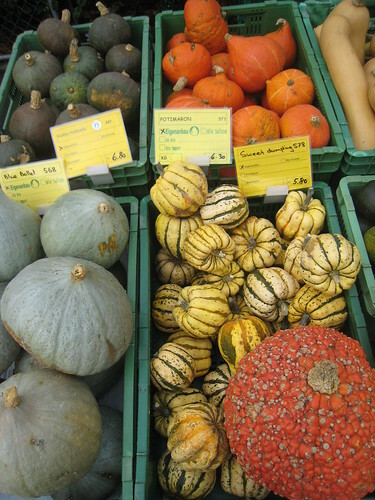 I giggle as I watch people stare at the gnarly, perhaps bizarre, bright yellow fruits below left, wondering what they are. 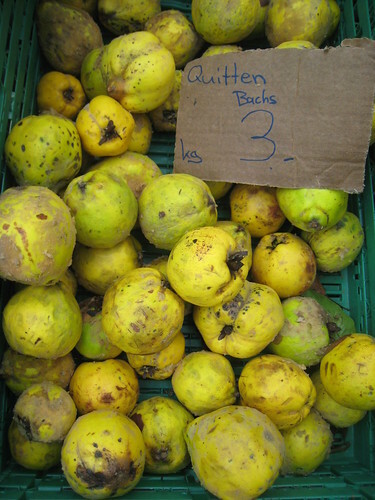 Quince of course, which even made the cover of Gourmet Magazine in September. 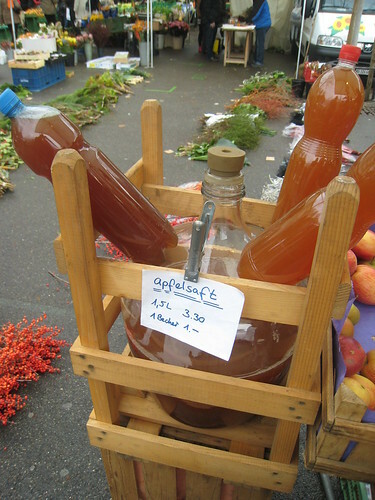 At the markets here in Zürich, people are filling their caddies and bags to the brim with slices of pumpkin, heaping bags of walnuts and dried fruits and bottles of Süßmost (apple cider). They’re filling up on special breads too, like the petit bonhomme de pain or Grittibaenzas as he is called here – for St Nikolaus day (Schmutzli) on December 6th. It’s a traditional sweet bread baked in the shape of a man, some with raisins for eyes and twigs in hand. That’s him below right. 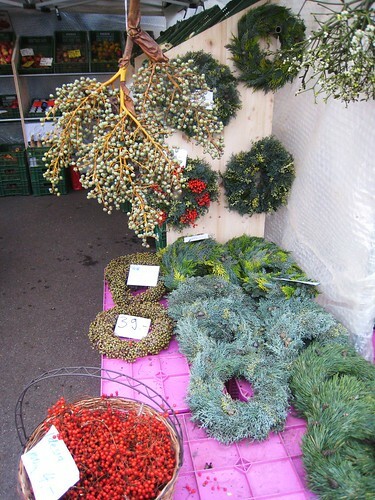 The Swiss are also not leaving the market without a bushel of mistletoe and holiday decorations. It’s been a year since I first met Urs at his stand overflowing with bright green mistletoe, yet I still haven’t uncovered the origin of the traditional “kissing under the mistletoe.” Anyone have an idea? 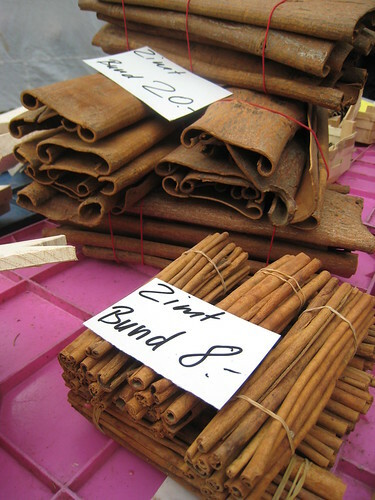 One thing I love seeing at the winter markets is cinnamon (Zimt in German, above). Not little jars of powder or dried sticks the size of your pinky. We’re talking large, folded slabs even. I am reminded of my travels along Madagascar’s northeastern coast several years ago, where we cultivated cinnamon. A man with only a few teeth, yet an insanely large machete, showed us how to peel away these sheets from the bark of a tree. The aroma was outrageous! I kept a piece with me for the remainder of the trip, and everything smelled like cinnamon! The strips are left to dry and curl into rolls, also known as “quills.” It was a fascinating experience, seeing firsthand from where this basic, household ingredient comes. 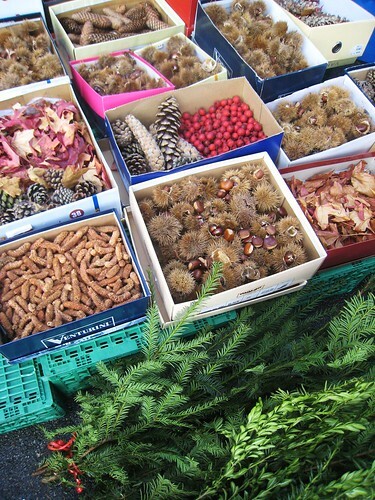 I also just love the variety of tchotchkes in shoeboxes there for the picking – pine corns, leaves, chestnuts, dried berries and wooden objects. 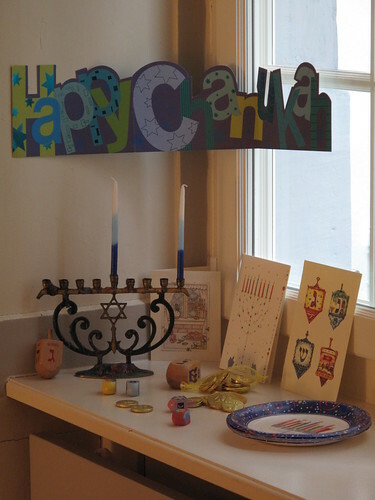 How do you decorate for the holidays? 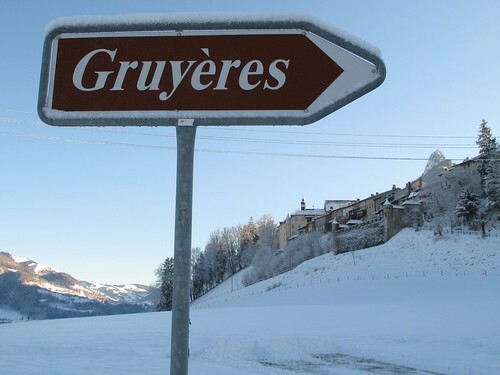 Stay tuned for part 2, Swiss winter markets… by night ! 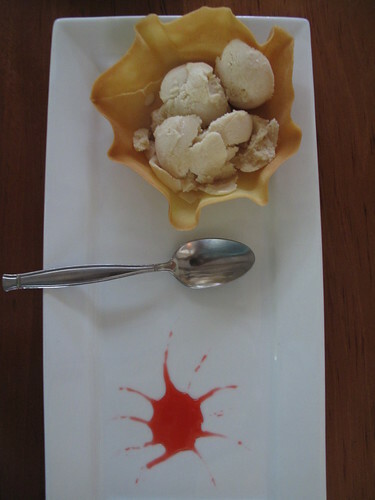 Now, the problem with reading your blog is that I always come away really hungry. 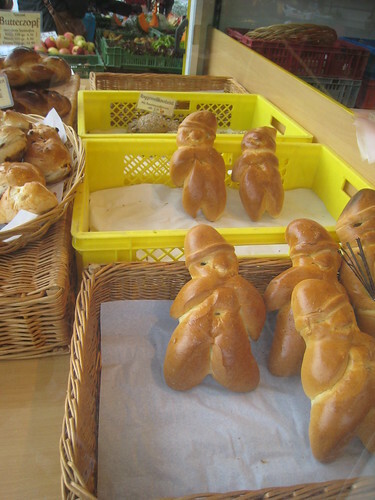 Love the little bread men, we do the same in Sweden for Christmas, and of course we also have ginger bread in the shape of men and women. Kids and animals too, actually. Thanks for the great photos and the nostalgia trip, reminds me a lot of Sweden. Well, I certainly do love the explosion of “Christmas” in the markets. It is such a colorful time of the year. 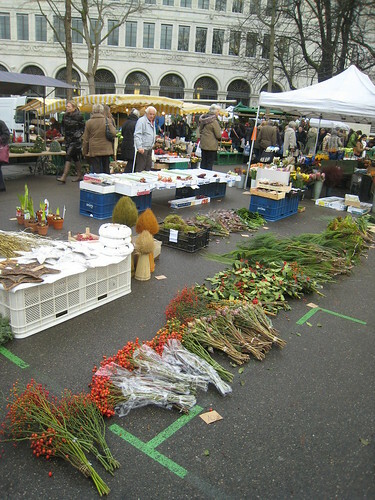 You can even just breathe in the aromas of the market, as you have said with cinnnamon but also with the branches of Christmas trees and mistletoe. 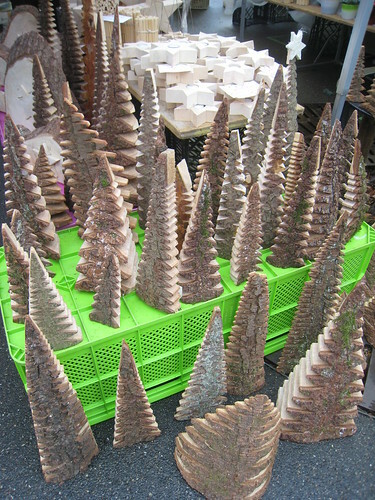 I don’t decorate for Christmas but i could imagine taking lots of pine cones, branches, berries and etc and putting them in a big bowl. The fragrance will fill your place with the season. I love the photography because it makes me feel that I am actually at the market with you. Looking over your shoulder while you fill your bag with stuff. Thank you for sharing this time with us over in NY. 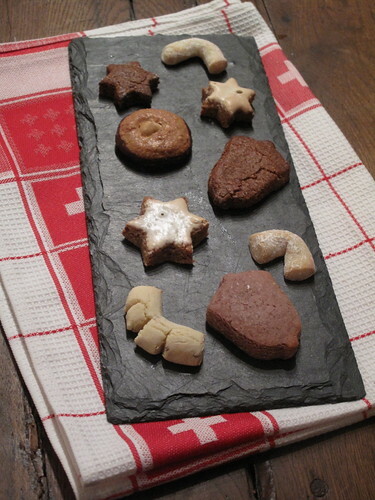 Your first hand account of Christmas in Zurich is magical Kerrin. 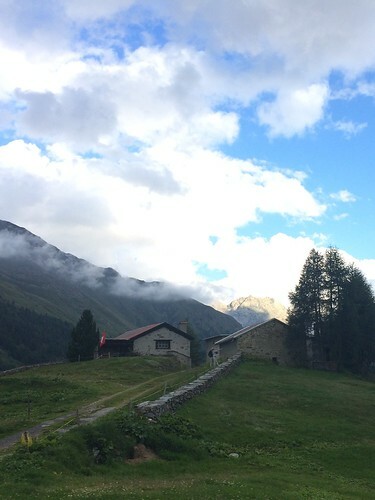 So grateful for your wonderful descriptions of the sights and smells of Switzerland. It’s “almost” as good as being there. You know, those wonderful natural gifts of cinnamon, pine cones, branches, etc are so difficult to find here — at least in the midwest. I wish someone could start an authentic morning market for those deprived. I feel left out. Thank you for sharing your talent of writing and photography with those of us who really appreciate it and look forward to each and every exciting blog. Love the post honey. Reading the comments (ok, especially Andrea’s) does more to warm my heart than chestnuts roasting by an open fire. Ok, with Google in hand, here’s what i came up with for Mistletoe. Works for me. What a lovely post, yet again. I just love your market reviews. It’s like I’m there with you! All the unique little things that you share with us. Especially love the little Grittibaenzas! How cute are those guys? How wonderful that the markets are brimming with holiday treats. I think you need to do a round up of all the unusual items that you have found at the markets! P.S. Miss the word tchotchkes. Thanks Dad, and thanks Google, for the mistletoe lore. Julia, I know you love those markets just like I do. A roundup of all the unusual items I see – that would be a very long post ! 😉 Oh, and tchotchke – one of my favorite words ! Jack, my market expert – picky is good when it comes to food ! First thing’s first, I could not agree with you more, Oerlikon is by far and away the best market I have yet to visit here in Zürich and around. That said… (you knew that was coming), I did not find it anymore economically interesting than Bürkliplatz. 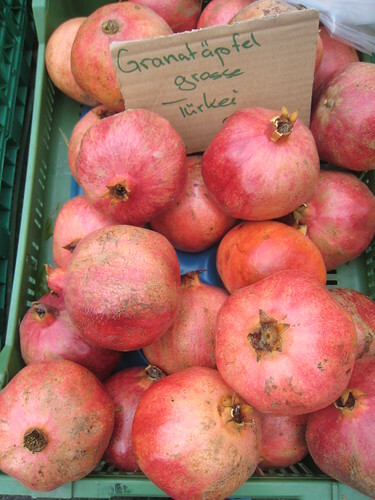 Some vendors (like the Italians) were just as – if not more – expensive than my market vendors at Bürkliplatz. 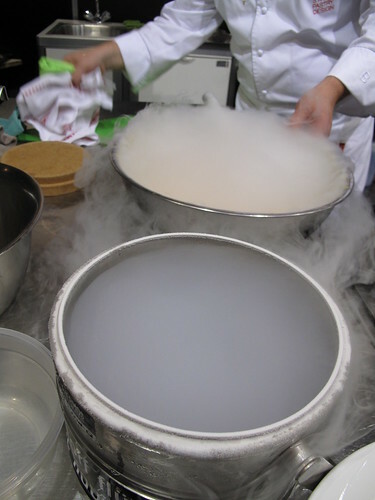 As for Helvetiaplatz, I went a few times (heeding your advice) and was never wowed by anything there, and again, didn’t see the prices worthy of the visit. After all, Bürkliplatz IS a 5 minute walk from my apartment ! 😉 Now… if Oerlikon were that close, we’d have a real market competition ! 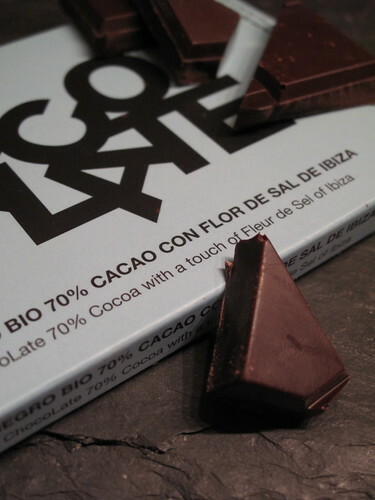 Overall, I think you can find products at these markets at all price ranges and quality too. I spent a lot time comparing, and have found the vendors I return to with the best value overall. Thanks for the tips Jack. Sorry for the absence. 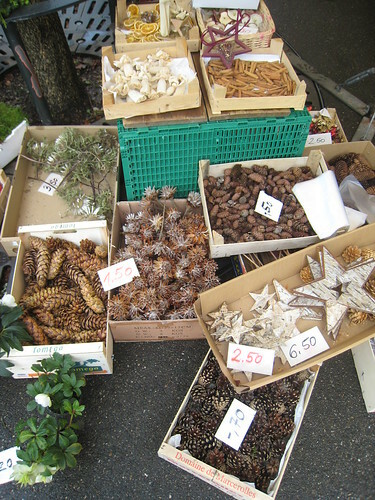 I love chrismas markets and Central and East Europe I heard are the best for those – Switzerland, Germany, Austria, Czech Rep, even Belgium. 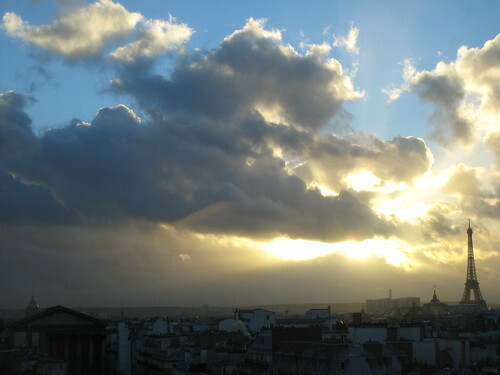 Argh…how I wish I could travel now!!! Confusing with two ‘Jack’ in this thread 😉 Had to go back and take a look. 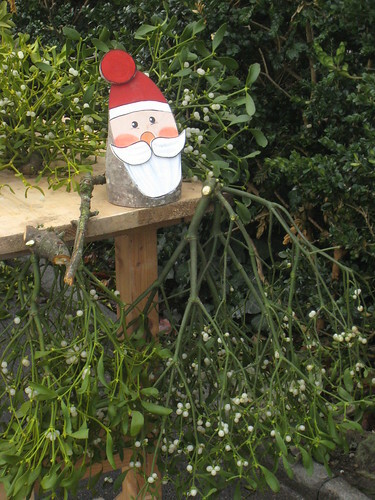 I suppose ‘Dad’ is Kerrin’s dad, thanks for teaching me something new about my homelands, I didn’t know the ‘kissing under the mistletoe’ tradition was actually Scandinavian – Always thought it a U.S. tradition for some reason. Wow, look at that cinnamon! Everything looks so wonderful. I suppose the only thing that could make it look more magical would be a nice dusting of snow. We just had our first real snow here in Maine the other night, and my spirits jumped immensely. Nothing says Christmas to me like snow, apple cider, and now – little bread men! I’ve not done too much indoor Christmas decorating in the past, but I do like to put together winter displays of cedar and dogwood and willow boughs. Last year I added some glittered driftwood to the displays. And of course I still enjoy stringing popcorn and cranberries! Kerrin: Points well taken…actually, all of the markets are quite excellent in Zürich and it’s just such a blessing to have an opportunity to shop for so many fresh and exciting products almost daily…and in many cases, just five minutes away! Keep up the good work! 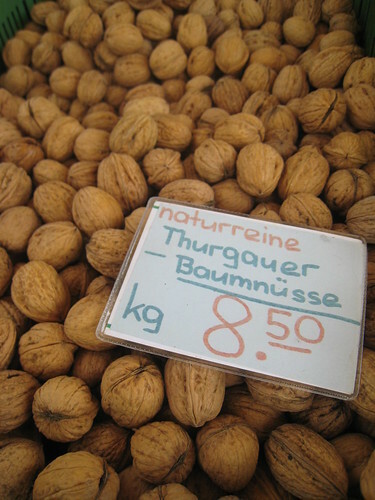 while i am the typical summer girl who loves her summer markets. i do admit that there is a certain charm to the winter markets. probably the smell of glühwein, spiced candied almonds, cotton candy and the whole christmas spirit. thanks for taking us on this tour kerrin! Jack (eyeflare travel), Jack #1 that is. 😉 Yes indeed, that Dad is mine, haha ! You learn something new everyday, right ? Especially with Google too ! Emma, I know – that cinnamon really was my favorite thing I saw. It’s just so cool, right – when you’ve only ever seen little jars of powder ! The snow will be here soon enough I am sure. We had our first snowfall last week, and there’s plenty more where that came from. I agree – it goes hand in hand with the holidays. Love how you decorate, sounds so pretty – and such fun too (popcorn !). Thanks for sharing with us. Meeta, glad you enjoyed the walk around the Swiss market with me ! I bet you have some fantastic markets there in Germany too. Wherever it is, you can’t avoid those aromas of Glühwein, that’s for sure ! haha ! I love winter markets, you can almost breath in the Festive spirit. Absolutely lovely. 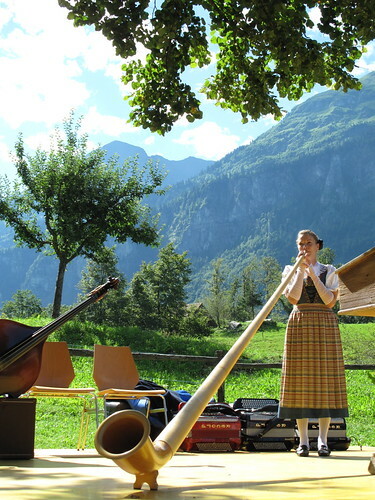 A few years back, I traveled to Switzerland for business with a company located outside Baden. I fell in love with the local Christkindlesmarkt. 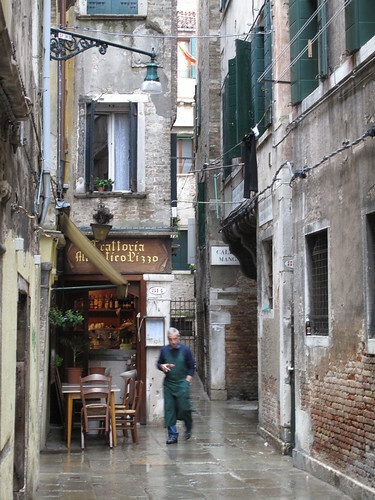 Walking through the streets of the old city (sorry I can’t remember the name, Bremgarden, maybe?) smelling the wursts being grilled, sipping mulled wine to keep warm, viewing the vendors wares. Great memories. Wow, Kerrin. The Swiss wintermarkets look gorgeous. 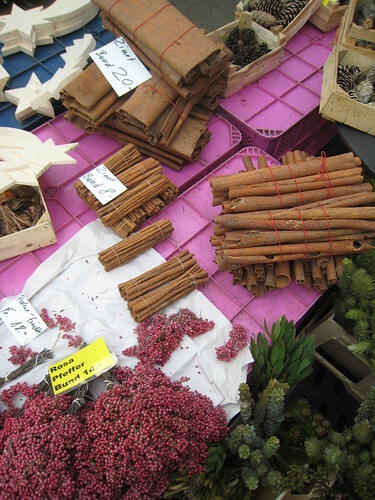 Here, in the Southern US, we almost exclusively have spring and summer farmers markets but I love the idea of mistletoe and cinnamon bark from the farm. Love love love posts about markets!